Sand Prairie's Wireless Internet service is a reliable and affordable alternative to DSL, cable or satellite. 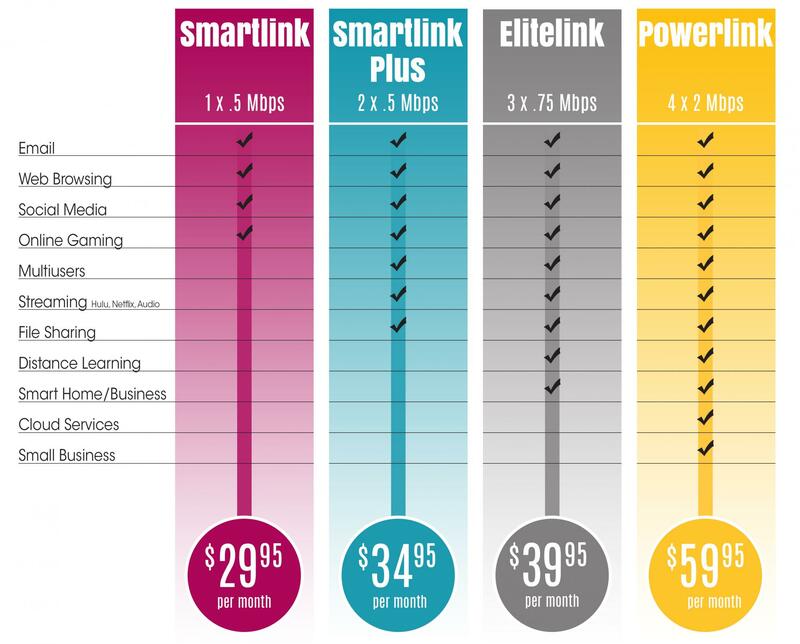 Choose from one of our four wireless packages. Each package has been designed to meet your specific needs or budget. The first step in getting connected is to signup for your Free Site Survey. Sand Prairie will have one of our technicians stop-out and verify you have line-of-sight. Following a successful Site Survey we with work with you to setup a time that works for you to install your Wireless Internet service. There is a one-time fee of $129.95. This fee covers the installation of your wireless service. We offer two options for paying the Installation Fee. Don’t want to worry about your bill but once per year? Great!, pay for 11 months and we give you 1 month FREE.